This dish is a cool relief from the hot North Carolina sun. It makes a great BBQ side! Peel, slice to remove the seeds, and cube the cucumbers. Thinly slice the onion. Cut the tomatoes into quarters. Combine and whisk the dressing ingredients. 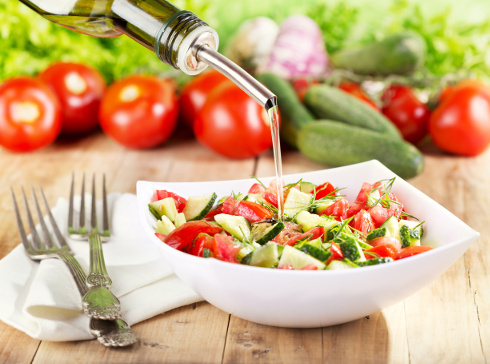 Toss the cucumbers, onion, and tomatoes with the dressing.